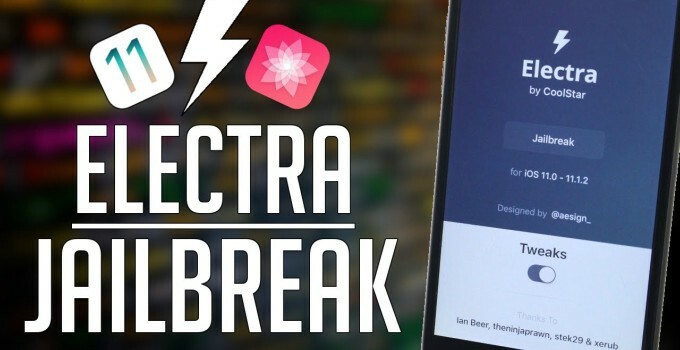 Jailbreakers have had their share of issues while installing tweaks on Electra jailbreak toolkit. Here’s a new tool called Tweak Installer that will make the installation process a breeze. Tweak Installer is a desktop-based Debian package installer for Electra development toolkit. It is developed by Joseph Walden. Establish an SFTP connection with the target device. Convert the Deb file to an installable format. Transfer it automatically to the required locations on the device’s filesystem (SBInject, Preferences, etc). Apart from Electra, it also supports Yalu jailbreak for iOS 10-10.2 firmware. However, its utility remains limited because Yalu already comes with Cydia. It has been tested on Yalu (iOS 10.2) and Electra developer toolkit (iOS 11.1.2). Yes, it is completely safe to use. All tweaks and associated files are only transferred to the correct locations. Moreover, it also allows you to install tweaks that contain tweak-specific data that must be moved outside of bootstrap. For example, the Switches and Application Support folder present in some tweaks. 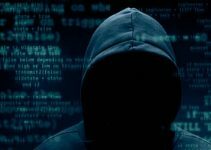 It establishes SFTP connection using the reputed WinSCP client so there’s nothing you need to worry about. It’s fully open source and its code also available for everyone to use. If you want to improve upon this tool, you can take a look at it on the developers’ GitHub page. March 2 – Version 2.1 adds support for Debian and IPA installation on Electra RC1.0.x (Cydia version). You must install AppSync Unified for iOS 11 before installing IPA files. February 7 – Version 2.0 is out. It combines GUI with the command line and extracts entitlements from binary files. You can use it to install Circuit Breaker. January 30 – Mac port released. The beta 2 version brings support for macOS. It is not tested yet on macOS Sierra or macOS High Sierra. If it crashes, restart it. January 29 – Version 1.2 comes with a better and user-friendly UI. January 27 – Version 1.1 displays a warning message before installing a tweak that modifies system files. You can now backup important files at the click of a button. January 25 – Version 1.0 marks the end of the beta development stage. It now installs packages in any format (ZIP/DEB/IPA) and through SSH over USB. January 23 – Beta 8 is out and adds a lot of new fixes and features. You can now install multiple DEB/IPA files, run uicache, automatically respring, error reporting, cleaner UI. January 23 – Beta 7 fixes error while installing IPA files. January 22 – Beta 6 comes with a version checker for the package you want to install. You can also install IPA files using it instead of AppSync for the time being. This update also introduces a much cleaner uninstall method. Step 2 Download the ZIP archive from the link above and extract it to any location on your computer. You can use Windows inbuilt ZIP manager or use 7Zip utility, which is more powerful. 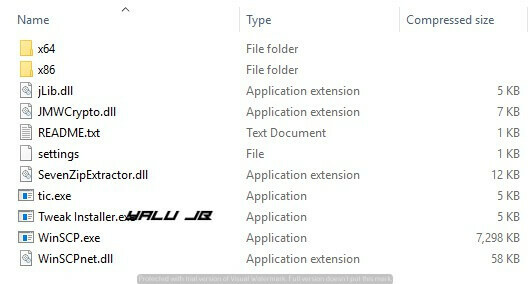 Step 3 Open the Tweak Installer.exe executable file to launch the program. Alternatively, you can enter 127.0.0.1 (localhost) in the host field above. If you choose this option, you must connect your device to your compueter via USB. Step 5 Once the all the fields are ready, click on Install. It will now install the required Deb file on your iPhone, iPad, or iPod touch. 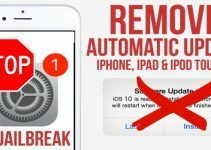 For uninstalling a tweak, simply input the data given above and press the Uninstall button. Remember, you must possess the tweak file of the tweak you wish to uninstall. Therefore, I recommend backing up and saving all the tweaks you install on your PC or computer. That’s pretty much it! If you want to install tweaks manually, you can give this guide a read. Tweak Installer only supports Windows computers for now. However, this doesn’t mean Linux and Mac users will be left in the lurch. The developer is currently working on Linux and macOS versions. Hopefully, they will drop sometime during the next few days. Joseph might also create an on-device Deb file installer for iPhone if time permits. For more tools and downloads, follow us on Twitter and Facebook. Pangu Team Working on iOS 10.2.1 Jailbreak? Hi and thanks for your tool! It came in very handy and ive been using it for quite a while now. However, i often had the problem that the app was apparently well installed (i.e. icon was there), but it would not open. First i thought the IPA might have been corrupted, but even when trying with Filza it will not work. Whereas when i sideload using impactor, the app will work normally. Do you have any idea what this could be related to? I was hoping this would work better with version 2.1 using appsync, but no matter which ipa i always get the same error…. appinst: main:71 The file /electra/tweakinstaller/placeholder.ipa does not exist. This tool is having issues right now and can lead to freezes. I suggest staying away from it for the time being. thanks for your reply. Im having a different issue now. As mentioned i tried out quite some IPAs that i installed using the tweak installer tool. Some of those didnt work and i would like to delete everything. The uninstall function does not seem to work. How can i manually free up space again? I tried unzipping one IPA using 7ZIP and saw that the main folder was *.app. I deleted this same folder from /Applications/ but the space is not freed up correctly. Any ideas? Open Filza and search for the app/file you want to remove and remove all of them from the search results. Do you have iCleaner? It will clean up a lot of files automatically. main:71 The file /electra/tweakinstaller/filename.ipa does not exist. Just use Impactor to install an IPA file. mac version beta 2, high sierra is installed but when i run it nothing happens, no box to enter details, select deb etc, am i doing something wrong here. Mac version is still in beta and will never come out of it. i recommend installing tweaks the manual way for now or you could wait for Cydia which will come with the next beta. I have a serious problem. Since I upated to Electra b8, my tweaks stopped working (yes, I have on the tweak option on elctra app). I thought it could be solved by uninstalling and reinstalling the jailbreak, but nothing worked. I also tried by downgrading to b7 but nothing worked. Go to beta 10 and re-install all your tweaks. Some beta versions reinstall the entire bootstrap folder. I suggest completely removing it and then reinstalling it. Yes, macOS High Sierra is untested so I suggest installing all the tweaks manually. I have to say a big THANK YOU to the developer of this wonferful piece of software. Fiddling around manually copying tweaks now being a thing of the past – it even RESPRINGS for you, so easy! THANKS again for saving me countless hours as a developer trying out these tweaks! OH and ps people – ECLIPSE DEVELOPER PREVIEW TWEAK states after the download link that the on / off switch isn’t working. It does, but you just switch off the switch and respring, et voila. Which is much safer than just turning off and on in a beta jailbreak anyway! Loving my ios 11.1.2 jailbreak. Glad it’s working for you! sadly with the Electra beta 10 update, i can jailbreak after a few tries now… but can’t connect to Tweak Installer via Windows or Mac now. Any idea how I can get around that? Fails connection every time. I guess that might be an issue with the Wifi. If that isn’t the case, try downgrading to beta 9.
my PC has no wifi connection. only by cable. how do I do? Not possible with a USB cable. It was crashing on RC1 but it’s working just fine now. This is working for g0blin Jailbreak (iOS 10.3.X? No, it is for iOS 11 only. Is there any tool like this for mac? People without windows, what can they do? A Mac version will be coming soon. What are you trying to install? how can i target my device? 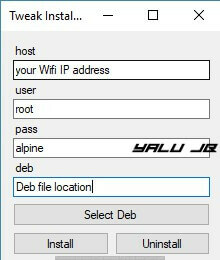 Just connect it using your Wifi address. You need to disable cellular data and enable Wifi. Electra already has SFTP access enabled. You aren’t correctly moving the Preference files. Do you have 7Zip on your PC? I want to install Eclipse X but I am unable to find a Deb file for it. All there is a zip file with all the components to install it manually. this is only for tweaks! Its Tweak Installer!!! Are you talking about that blue screen with an emoji?